Depending on your job profile, tattoos can be a major concern or nothing at all. Many people get tattoos without thinking about their future life or careers. Most of the workplaces don’t allow tattoos as they feel that tattoos are not a decent thing to sport or they disrupt the work culture. And, if you are going in an organization that has a strict code of conduct, then you should be ready to cover up your tattoo. Whether you want to crack a job interview or you want to look more professional, you just need to know a few tricks to camouflage your tattoo. With our recommendations, you can easily hide your tattoo through various smart approaches. Tattoos can be covered by wearing appropriate clothes. Get a tattoo inked on places where it can be easily hidden under clothing or accessories. For instance- If you have a tattoo on your upper arm, then you can hide it by wearing long-sleeve shirts or tops. Or, if you have it on your lower back, then you should be careful while sitting and be aware of the length of your shirt. eil has helped me to maintain a professional image, and even covers large tattoos with ease. Make sure that the tattoo is not new or fresh. See that it is completely healed (a minimum of 45 days), otherwise you can ruin the ink of your tattoo. You can even get an infection if you don’t keep this minor but important precaution in mind. Cleanse the tattooed skin properly before applying make-up on it. This will help the skin to absorb the make-up smoothly. Don’t forget to squirt hairspray on the tattooed area. This will help the make-up to stay in place so that it does not rub off and spoil your clothes. Don’t hasten after applying it and let it dry for a few minutes before touching or covering it. Hair: If you have long hair, then you can keep it open. This can hide the tattoo on the back of your neck. Armlets: Wear bracelets or a big watch to cover the tattoos on your wrists. Wear a tight watch or cuffs so that it does not budge when you move your hand. Rings: You can also wear large rings to cover the tattoos on your fingers. The ring should be tight and long as per the size of your tattoo. Cover-ups: There are a lot of cover-up sleeves available in the market. These will surely help in hiding the tattoos on your hands and legs. The cover-ups come in various skin shades and sizes to perfectly suit every skin tone. There are plenty of cosmetic products that can help in hiding your tattoo. 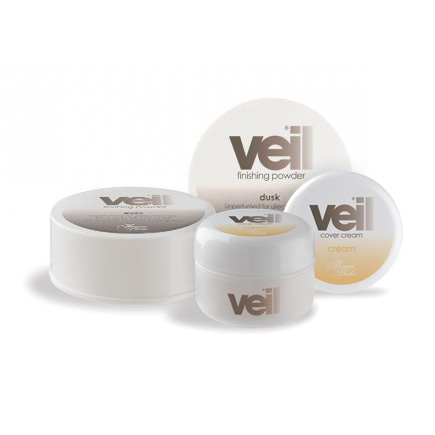 One of the products that are highly effective is Veil Cover Cream. It is a complete tattoo cover kit that is originally formulated by dermatologists using organic raw materials. It comes in various natural shades to suit every skin tone and is suitable for every skin type, whether sensitive or oily. It is skin friendly and does not cause rashes. It is a fantastic product to cover your tattoos. These tips will definitely make a tattoo work for any job profile. This way you can maintain your freedom of expression as well as professional attitude simultaneously.